Desk based workstations are free standing that gives sleekness and visual elegance to the office. It meets all functional requirements of a workspace. Workstations are formed by combining free standing desks with privacy panels, connectors and suitable accessories. We offer Office Workstation Furniture. With years of understanding in the business, we are engaged in bringing forth a commendable range of Modular Cabin Systems. These provided products are extremely accepted and famous. Along with this, its attractive designs, ideal finish and light weight make these products a preferential choice of the industry. 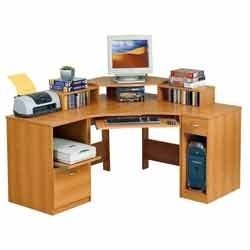 In order to suit the precise requirements of our esteemed clients, our enterprise is dedicatedly engaged in providing Workstation Furniture in the market.